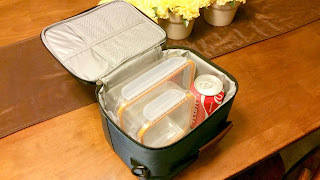 COMPLETE "READY-TO-USE" KIT: Every BetterCourse lunch bag comes as a kit, complete with our ready-to-use meal containers. SMART STORAGE: Not only are our containers made to perfectly compliment our bags, but we've also included smart pouches that store your utensils, napkins, and other small items. It feels nice to have everything in its right place, doesn't it? 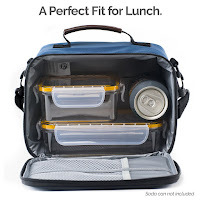 CONTAIN IT, ZAP IT, WASH IT: All of our lunch containers are made with patented Tritan plastic that is BPA-free, leakproof, stainproof, microwave ready, and dishwasher safe (top rack only). GREAT FOR KIDS, EVEN GREATER FOR ADULTS: BetterCourse is made for the entire family. When looking at the marketplace today, we know a common complaint with some of the more "popular" brands is that they appear to be made for a minimalist's lunch. We believe that there is a solution to the "extra-small" containers and it's a simple one: Provide you with the versatile options to pack your lunch in a big, medium, or small way. 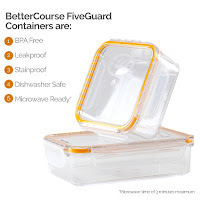 We know you're sick and tired of lousy lunch bags and containers, so it's time to buy your BetterCourse lunch kit today! 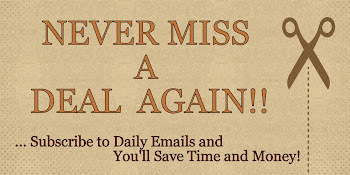 We know you'll be more pleased with our smart, elegant, and practical solution. Okay, this is a really nice lunch bag! I wanted this bag for my son for school and he loves it. The bag is insolated and comes with two containers. 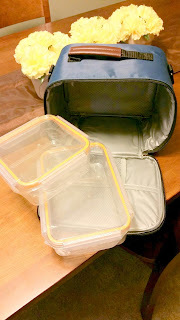 The containers are a really good size and are leakproof. Perfect for my 9 year old son. It's very big and spacious. There's enough room for the two containers, a drink and snacks. The bag also has pockets, great for napkins and/or utensils. It also comes with a strap that can easily be taken off or on. Overall, great bag. So many great qualities. It's a great shape, simple design and I love the color. 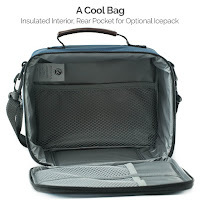 I would definitely recommend this BetterCourse bag to anyone. 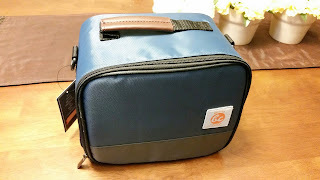 If you would like to try this for yourself, you can purchase this BetterCourse Premium Insulated Lunch Bag Kit with FiveGuard Containers (Cobalt Blue) right now from Amazon!